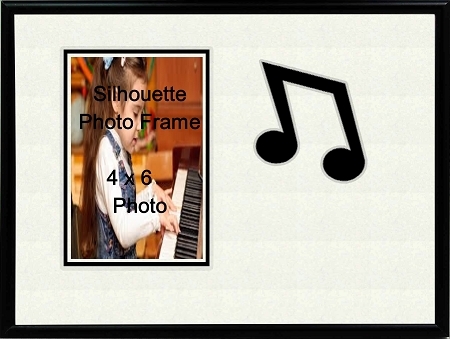 Table top photo frame overall size is 8x10. Unique carved silhouette mat of an Eighth Note includes easel, photo mount board, glass and gift box. 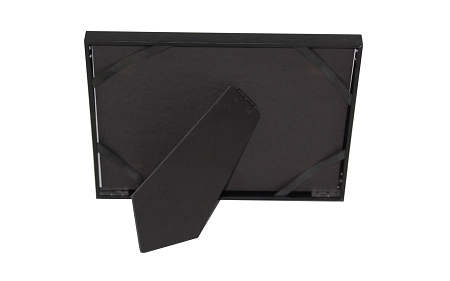 Satin black frame with black & white mat and is easily removable for adding a 4x6 photo.